Serotonin is a neurotransmitter that plays a large role in mood, learning, appetite control, and sleep. It’s believed that low serotonin is the underlying cause of depression. Selective serotonin reuptake inhibitors (SSRIs) such as Paxil, Prozac, Zoloft, Celexa, and Lexapro are used by millions to relieve symptoms of depression by increasing brain levels of serotonin. Many people with depression or other serotonin deficiency symptoms and conditions are searching for better ways to increase serotonin levels naturally without the use of drugs. If this is your situation, here are some serotonin supplements proven to help increase serotonin levels naturally. There are many kinds of nutritional supplements that increase serotonin levels — amino acids, vitamins, minerals, herbs, and more. Before you take any serotonin supplement, it’s important to understand a little bit about them and especially how they work together. Sometimes there are vital synergistic relationships between these various serotonin boosting substances. There are several co-factors required to make the most commonly used serotonin supplements do their job. Conversely, there are times when these supplements can react adversely with medications or other serotonin supplements, and you need to know about those, too. Three of the most widely used serotonin supplements are the amino acids tryptophan, 5-HTP, and sam-E.
Do so only if you are working with a knowledgeable health care professional. Together, they can cause too large an increase in serotonin which can result in a potentially serious condition known as serotonin syndrome. Serotonin syndrome should be taken very seriously. Symptoms range from mild to fatal. Tryptophan might seem like a logical serotonin supplement to try first since tryptophan is a precursor of serotonin. Tryptophan is an amino acid commonly found in protein-rich foods like animal products. But since protein blocks serotonin synthesis, eating a meal containing protein will actually cause both tryptophan and serotonin levels drop. Tryptophan supplements fell out of favor when a contaminated batch from Japan caused thousands to fall ill in the 1980s. For decades, manufacturers shied away from selling this supplement, but it’s now readily available and widely known to be safe. 5-HTP could be considered as either an amino acid or herbal supplement. But we’ve put it in the amino acid category since it’s so closely associated with tryptophan. Unfortunately, this supplement’s usefulness for depression may be more hype than substance. There’s an ongoing discussion in the natural health community whether it’s better to take tryptophan or 5-HTP to increase serotonin levels. Tryptophan more readily enters the brain, but 5-HTP requires one less step to convert into serotonin. We prefer tryptophan supplements not just because studies have not conclusively found that 5-HTP helps depression, but because 5-HTP is not intended for long term use. While it’s increasing serotonin, it’s depleting other neurotransmitters like dopamine. Dr. Datia Kharrazian, author of Why Isn’t My Brain Working? , lists these co-factors as needed for the synthesis of either tryptophan or 5-HTP to serotonin — vitamins B3, B6, and B12, folic acid, and magnesium. Look either for serotonin boosting supplements that contain these along with the main active ingredients or add them separately with a high-quality multivitamin mineral supplement. Sam-E naturally occurs in every cell of body and brain and fuels over 100 metabolic reactions. Sam-E supplements are synthetically derived and sold in the US as a supplement. Here are a few that are integrally connected to serotonin production. Often 5-HTP or tryptophan supplements also contain B6 for this reason. Folic acid deficiency will cause low serotonin levels. Vitamin C increases serotonin and can act as a natural antidepressant. Vitamin D, the sunshine vitamin, may be the most important “missing” vitamin for your brain and your mood. If you spend most of your time indoors or live in the northern half of the US, vitamin D supplementation is a must. It’s normally present in high concentrations in the brain where it assists many brain functions. Children, seniors, and vegetarians are most at risk for zinc deficiency. There are a few serotonin boosting compounds that originate in food. Theoretically, you could boost your serotonin level from food — provided you consumed enough of the right foods. L-theanine is a brain boosting amino acid found almost exclusively in green tea. Omega-3 EFAs are found mainly in cold water fatty fish like salmon and mackerel. They are one of the most important nutrients for overall brain health and function. People with low serotonin levels commonly have low levels of omega-3 fats. Two major components of omega-3s are DHA (docosahexaenoic acid) and EPA (eicosapentaenoic acid) and both are involved with serotonin. DHA is generally considered the most important of the omega-3s for brain function. You could get enough omega-3s from your diet if you ate wild salmon every day. Probiotics are good bacteria found in fermented foods like yogurt, kefir, and unpasteurized sauerkraut. They can help establish a normal balance between good and bad bacteria in your intestines, and that is surprisingly relevant to the health and function of your brain. An overabundance of bad bacteria in the gut is called dysbiosis and creates toxic byproducts called lipopolysaccharides. Probiotic supplements can help if you don’t regularly eat fermented foods. There’s a fine line between food based supplements and herbal remedies. Herbal remedies are derived from plants parts — seeds, berries, roots, leaves, bark, and flowers– and used medicinally. This last group, herbal serotonin supplements, is derived from plants but not ones we normally eat. 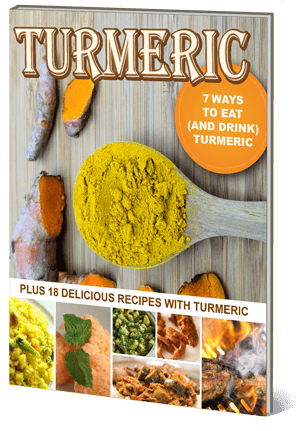 Curcumin is the active ingredient in the spice turmeric which has many brain boosting properties. Isolated curcumin is not very bioavailable so look for a curcumin supplement that has taken measures to enhance bioavailability. Garcinia cambogia is a sour tropical fruit that’s used in traditional Asian cuisine. And it has almost as many uses as it has names! Rhodiola rosea has been called an herb that’s good for whatever ails you. If you have brain fog, trouble concentrating, and low energy along with your depression, it’s an excellent herb to consider. It’s been used since the ancient Greeks to boost overall physical and mental vitality. Selective serotonin reuptake inhibitors (SSRIs) are usually prescribed for depression. They work by increasing serotonin levels. But they are not the only way to increase serotonin. There are a wide variety of supplements that can increase serotonin levels naturally. But there are some finer points you need to know to use serotonin supplements safely and effectively. It’s critical that you don’t “mix and match” serotonin supplements with other substances that increase serotonin or you put yourself at risk for potentially dangerous serotonin syndrome. Unfortunately, just as with any antidepressant medication, there is no one serotonin supplement that works for everyone. It may require some trial and error to figure out the one that’s right for you.